A Complete Guide to Vape Pen Mods and the Mod Lifestyle! Warning: It is highly recommended that you have some experience with vape pens before traveling down the vape pen mod road. If you are someone who who has been vaping or using a personal vaporizer for quite some time now and you have come to the point to where you want a much more advanced device, a mod vape pen may be right for you. You have arrived at a place from where e-cigarettes began back in the days of the first tobacco-less products and are now ready to move up. The world of Vape Pen Mods may seem confusing because there are so many types of mod vape pens. You have your Mechanical Mods or Mech Mods, and your regulated mods like Variable Voltage Mods and Variable Wattage Mods. This is a guided tour of what vape pen mods are, along with the details of what it takes to build a mechanical mod or Mech Mod. Mechanical Mods are becoming more popular with regular users of e-cigarettes and vape pens, so if you are looking to make the switch as well, please first read the Complete Mechanical Mod Beginners Guide. We also offer a wide range of vape pen mod starter kits for your convenience. You can customize your vape pen mod however you see fit in our awesome “Build Your Own Vape Mod” product page. Let us introduce you to the mod also known as vape mods, mech mods or Advanced Personal Vaporizers (APV’s). The Vape Mod is a vaporizer pen that originated from a lack of functionality and battery power in the earlier vaporizer pens. They were underpowered and offered subpar battery life and vape volume. Then some creative individuals started tinkering with objects lying around the house, like flashlights and other electronics. They combine these common household items with the vaporizer pens and created souped-up Advanced Personal Vaporizers (APV’s) that had extra battery power and more functionality. This trend caught on with the vaping communities and the manufacturers saw the market potential and began producing professional versions of the modded vape pens. These became known as Vape Mods, Mechanical Mods or mostly by the term Mod or APV. Today the mods are much, much better than the earlier crafty garage devices, as are the eGo style vape pens and other vape pens much better today due to the advances in vaping and lithium battery technology. Think of a vape pen mod as a vape pen on steroids. “Vape” is the short version of “vaporizer” which is of course what produced the vapor that you inhale when smoking an e-cigarette. There is a huge difference between ecigs, vape pens and vape mods which has created a whole new industry for advanced users of vape pens and mods and becoming a steady hobby for many vapers. Vape pens are the next level up from e-cigarettes, while vape pen mods are the next level up from vape pens and have even more advantages than the vape pens, including far longer battery life, better taste & flavor, better cloud production, better throat hit and much more. More power and more vapor volume are probably some of the more sought after benefits that distinguish the vape pen mods from the ordinary vape pens. Vape Pen Mods are much more powerful than smaller vape pens because they have much better battery life and they produce a lot more vapor with each puff. Some Mods also allow you to completely customize your vaping experience by changing the voltage and wattage on demand, which will influence how cool or warm your vape is and the amount of vapor that comes out (although all this also depends on the type and quality of your ejuice). The mods are what make the vape pen customizable. You have the choice of variable voltage, variable wattage, rebuildable atomizers, rebuildable dripping atomizers, multiple size batteries, mod chargers, kanthal wire, silica wick, Ekowool wick, cotton wick and sub ohm vaping to maximize your mad experience. The purpose of the vape mod batteries and battery chargers don’t really need to be explained, but how they can work together with the different types of atomizers does require a bit more knowledge. Also you need to make sure you always get high quality batteries and chargers for your mods because it helps keep you safer in your mod building and usage. Lets dig a bit deeper into all the types of mods and get into to the details of what all this stuff means for your new vaping rig. 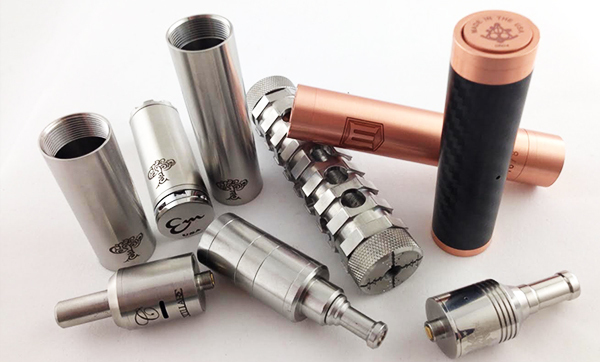 There is a lot of information surrounding mechanical mods, even more than variable voltage and variable wattage mods because there is a lot of knowledge that must be understood about safely and successfully building your coils for mech mods. For this reason we have full page (linked below) dedicated to the beginning info you need to understand before getting into mechanical mods. A Mechanical Vape Pen Mod is simply a casing that you put batteries into. Then you attach an atomizer (RDA or RBA), which vaporizes the ejuice. You can also attach regular clearomizers if you wanted, but many people like to build their own coils when using mods. Mechanical mods are essentially barebones mods that don’t have any complex circuitry in it to prevent your battery from overheating, chaining voltage, chaining wattage, etc. For this reason, it is important to have an understanding of resistance and voltage before proceeding, and is recommended only for advanced users. Mechanical mods can be very dangerous if used incorrectly and in reality, if you are not an advanced user and vaping isn’t a hobby where you spend your weekends building the next great coil, then you should stick with a variable voltage/ wattage mod or even a vape pen, because these are much saver and save a lot of time. These are more “set it and forget” it functionality because they have special circuitry for added safety and many offer an ability to change the temperature (wattage/ voltage) or your vaping. These safety features and ease of changing voltage/wattage is what many people like with their vape gear, unless of course they get into sub ohm building and want to go the mech mod route. As stated above, mechanical vape pen mods are considered unregulated mods whereas things like Variable Voltage and Variable Wattage Mods (even ego vape pens) are considered regulated devices. They are called regulated mods because they have some type of special circuitry built in that adds safety to your vaping. in them that prevents short circuiting of the battery. There are some more advanced regulated mods that offer even more protection by offering an overcharge protection that will power the device off automatically and an over-current protection when doing sub-ohm vaping with low resistance atomizers. There are two measurements of power you will see on the specs of a vape pen mod – variable voltage and variable wattage. Some vape pen sites talk as if they were the same thing. The reality is they achieve similar goals, but the route that each of these types of mods achieve the goal is different. The thing to remember is that there are significant differences when customizing your vape pen, and this is very important when choosing a mod if you have preferences leaning towards one vaping style to the next. A variable voltage allows you to change the current, which interacts with the OHMs of your atomizer to product the final output, which is heat (or watts). So changing the voltage up or down will turn the temperature up or down and in effect, giving you a completely different vaping experience depending on the voltage it is set at. Variable voltage is a much more preferable method than using a fixed voltage battery. Otherwise, if you wanted a real APV Mod that offers variability in your vaping temperature, you can try a mod out like the Innokin iTaste VTR, which is both variable voltage and wattage! Variable wattage accomplishes the same goal as variable voltage but through a different, yet more direct way. 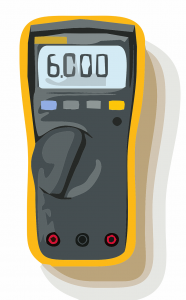 As mentioned above, voltage interacts with ohms to create the final temperature, measured in watts. So say you have a fixed amount of ohms (resistance) on your atomizer (say 2.8 ohms). If you wanted to raise the temperature on a variable voltage vape mod, you would simply adjust the voltage. The voltage would then interact with the ohms to create the final wattage (temperature). Say you found that you live to vape on 3.8 volts, and that results in the perfect temperature (wattage) for your tastes. But say you change your atomizer to a different one that is 1.8 ohms. Now when you vape it at the standard 3.8 volts that you know and love, it gives you a completely different vaping experience. Why? Because the change in ohms results in a change in the end wattage. Lets say that instead you have a Variable Wattage Vape Pen Mod. Lets say you also are using a 2.8 ohm atomizer with the variable wattage mod and you’ve decided your go-to vaping setting will be 10 watts, because that temperature setting gives you a perfect vape. Say now that you change up your atomizer just like the previous example, to a 1.8 ohm atomizer. Now, with your wattage still set at 10 watts, what happens now? It gives you the exact same vaping experience! It does this because variable wattage will automatically change the voltage for you to give you your desired wattage. So variable wattage is a true set it and forget it vape mod (when you first decide your preferred vaping temperature), whereas a variable voltage, you may need to re-adjust the voltage from changing your atomizer. It may sounds confusing, so here is a more in depth article on the differences between variable voltage and variable wattage. There are two main atomizers that are commonly used with vape pen mods. One would be an RBA, which stands for Rebuildable Atomizer. The other main category of atomizers would be an RDA, which stands for rebuildable dripping atomizer. Notice that they both say “rebuildable”? This is because you actually have to build the tank on both of these atomizers. The main difference though between an RDA and an RBA is that the RBA has a tank that holds your ejuice, whereas with the RDA you have to drip the ejuice on the wicks each time you use it. Both have pros and cons and one may be better suited depending on your vaping habits. It should also be noted that you can also use clearomizers and cartomizers, which are easier to use because you don’t have to actually build the coils. What is a Rebuildable Atomizer (RBA)? 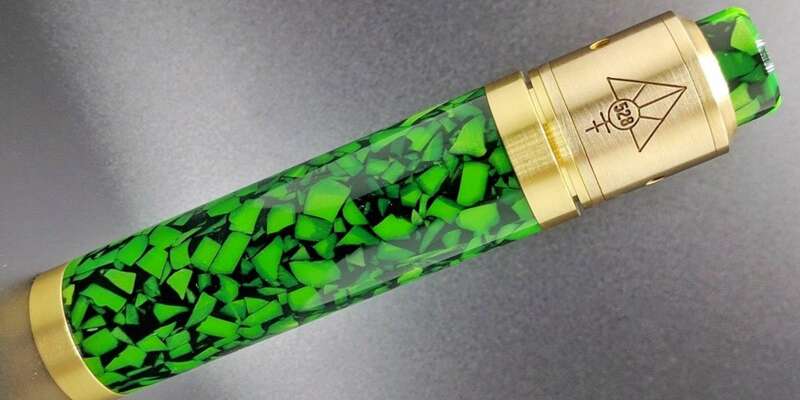 This is one piece of the vape pen mod that is not for the inexperienced vape pen user. A rebuildable atomizer (RBA) is a customizable version of the standard atomizers built-in to most e-cigarettes and vape pens (such as a clearomizer). The first thing you need to know is that most rebuildable atomizers do not come out of the box ready to use. So you need at least a basic knowledge of coil construction, using either silica wick, Ekowool, Cotton Wick and Kanthal Wire. Because the RBA can be customized and rebuilt a number of times, the more experience you have constructing it, the better your variable wattage/ voltage or mechanical vape pen mod experience will be. A Rebuildable Atomizer will have a large tank which you fill one time similar to a clearomizer tank, however the RBA will hold much more. An RBA can hold anywhere from 4ml to 5ml of E-Juice as opposed to 1.5ml – 2.0ml on a regular clearomizer tank. The most obvious benefits of using an RBA over an RDA is that you can use it all day long without having to constantly add ejuice. RBAs have a tank that you can fill with ejuice so you can vape for longer periods of time between refills. An RDA requires that you drip the ejuice onto the wicks to vape. What is a Rebuildable Dipping Atomizer (RDA)? There is also the dripping version of the RBA called the RDA. This is different from the RBA because there is no tank attached to it. Instead, the user drips the amount of liquid they want into the atomizer’s Silica or Cotton wick as needed. Depending on the size of your build will depend on how many “drips” your wick can hold. With a Rebuildable Dripping Atomizer you will need to re apply E-Juice every 5-10 puffs. While using this method will give you greater control of the vapor strength and eliminates worries about the storage size of the tank, the basic construction remains the same. The biggest benefit of using an RDA is that you can easily switch flavors. This is a big benefit for those that have e-juice “flavor ADD”, or those testing out new flavors. Some say that you can actually get better flavor from an RDA, but most people say that the flavor you get out of an RDA is very similar to an RBA, because they are essentially very similar in functionality. The only difference is that RBAs have tank for ejuice. How do you use a vape pen mod? Once you have the kit in hand, you can tweak your smoking experience to fit the strength of the vapor and the length of time the battery will last. In general, vape mods batteries will last far longer than standard e-cigarette, eGO, EVOD or Vape Pen Batteries. By adjusting the resistance of your OhmsΩ on your RBA or RDA you can increase or decrease the potency of the vapor you inhale, making your vaping experience better and more enjoyable. But that is not all. 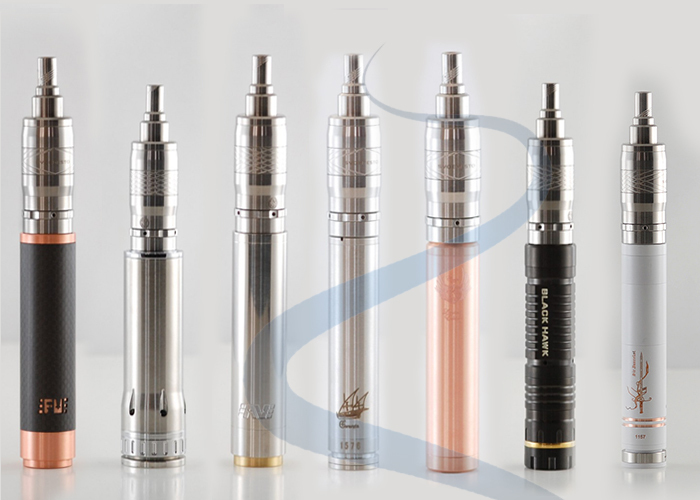 In order to build your atomizer you will need some basic knowledge of kanthal wire, silica wick, cotton balls, OhmsΩ, Resistance, Voltage and Amps. In most cases, you will have to wrap the kanthal coil on your silica wick or cotton atomizer yourself. And as was described earlier, you will have to have knowledge of wattage, voltage, electrical resistance, and a few other basic electrical concepts. For many people, while there is some learning to do at the beginning, using vape mods is fun and will definitely have you moving up to more advanced mod kits or APV’s (Advanced Personal Vaporizer). To find the exact combination of liquid, power, and resistance that will max out your smoking experience will be a matter of trial and error. Most vape mods are going to be for the advanced user as most are going to have a buildable wick or buildable atomizer where you actually have to wrap the coil around the wick yourself. (The exception to thiswould be a variable voltage/ wattage device with a clearomizer, rather than an RBA or RDA.) You will also need to figure out resistance, wattage, voltage, power etc. For these reasons it can seem too overwhelming for the average vape user or beginner who just wants a solid vape pen that just works. If you have been vaping for quite some time, it is definitely fun to get into vape mods if you have some experience with vaping in general and don’t mind getting your hands dirty or learning a thing or two. Otherwise you may get overwhelmed if you lack the experience or drive to learn more. What comes in a Vape Mod Starter Kit? The basic vape mod starter kit will contain a mod casing, customizable atomizer, battery, battery charger. For instance this K100 Vape Mod Starter Kit pictured above comes with the casing, a battery, charger, and a case. More expensive kits will include larger capacity tanks and better, more powerful batteries. Slim Vape Pen carries many different types of Vape Mod Kits and Vape Pen Mod Starter Kits that come in a wide variety of battery sizes and atomizer tank styles. We have starter kits that contain the vape mod casing, RBA/ RDA, battery, battery charger and FREE E Juice or we offer full blown “beginner vape mod starter kit” that includes literally everything you need to get started. If you are looking for a great vape mod starter kit, you have come to the right place at Slim Vape Pen! We are passionate about getting you the best vape pen stuff, so you can enjoy the best vaping experience possible. Our vape mod starter kits fit in perfectly with our proud tradition of finding the best vape pen accessories for you. We start with the best mod casings, add on a fantastic atomizer of your choice, throw in some little details you’ll need to make it work like a wick and some batteries, finish it up with a charger, and top off the whole deal with some FREE e juice so you can start vaping right away! Of course, it helps to have some knowledge of how vape mods work, if you are looking for a vape pen mod starter kit. The starter kit will help you get a feel for vape mods without having to go to all the trouble of hand-selecting each piece yourself. We do all the hard work for you so you can focus on learning about mods and having fun experiencing them. After you have experience building your own coils and wicking your own mods, you may want to look at our specialty mods and atomizers. Why should I get a vape mod starter kit? If you are new to vape mods, you might easily get overwhelmed with the number of choices and the amount of different factors you have to keep in mind when selecting a vape pen mod. (If “overwhelmed” doesn’t describe you at all or if you really like delving into all those details, then you may want to head straight over to our vape pen mod accessories and start picking parts for yourself.) Therefore we have put together our handy vape pen mod starter kits here at Slim Vape Pen. We give you all the pieces you need to get started with vaping mods. You can play around with them and learn what vape pen mods are all about, so that when you start to buy individual accessories of your own you will be able to know what you need and what to look for. What comes in a vape mod starter kit from Slim Vape Pen? FREE E-JUICE – Choose your nicotine level! We match your batteries to your mod casing (different casings take different sizes of battery), then we match your casing to your atomizer. We give you the wicks and charger to be able to get started vaping right away, and throw in a bottle of FREE Nicoclean e juice so your first experience vaping with one of our mods will be absolutely delicious. 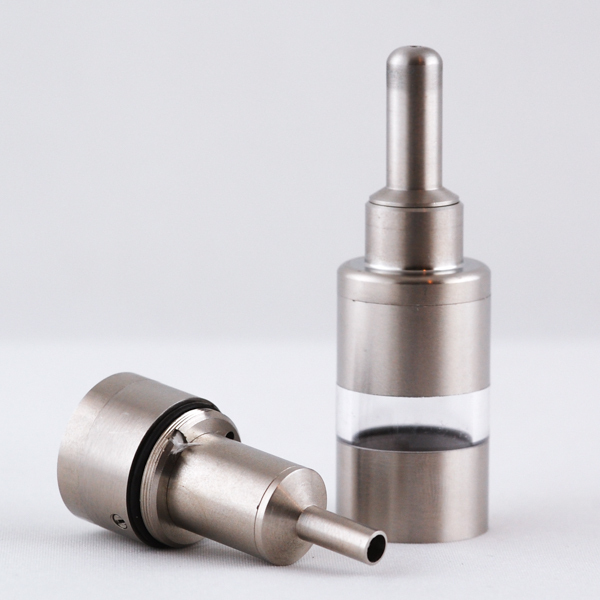 You get to choose what kind of atomizer you want – a rebuildable atomizer (RBA) or rebuildable dripping atomizer (RDA). A rebuildable atomizer, or RBA, has a tank for you e juice. When you build your atomizer, you have to make sure the wick is long enough to reach the e juice so that you don’t get any dry hits. Pros of a rebuildable atomizer/RBA: you can vape it for a long time before you have to refill it with e juice. It is therefore very convenient. Cons of an RBA/rebuildable atomizer: you may end up with dry hits if you don’t give it enough wick, or if you do not make sure to keep your tank filled up and topped off. A rebuildable dripping atomizer, or RDA, does not have a tank for e juice. Instead, you drip e juice directly onto the wick every few puffs. The e juice pools in a small juice well, ensuring that there is enough juice for you to get a few good puffs in before you need to refill. However, you will constantly be refilling this sort of atomizer with e juice for the time that you are vaping. Pros of an RDA/rebuildable dripping atomizer: this kind of atomizer is perfect if you love switching flavors frequently, because it lets you switch flavors every few puffs. It is also excellent if you like a lot of involvement in your vaping experience. Cons of a rebuildable dripping atomizer/RDA: you have to refill it continuously through your vaping experience. This means that you have to have your bottle(s) of e juice with you and you have to be in a place where you can sit and refill your vape pen every few puffs. RDAs are not particularly recommended for use while, say, driving, when you need to be paying attention to something other than your vape pen. Here at Slim Vape Pen, we are pretty sure we’ve found the best e juice on the planet. It’s called Nicoclean, and it is fantastic. Nicoclean is 100% made in America, so you can count on the quality and purity of the product. And it just plain tastes great. It only took us one taste to get us hooked, and that’s why we are sending you a bottle of Nicoclean Premium USA-made E Juice FREE with your starter kit. We’re pretty sure you’ll be hooked too. Vape mods are great, but they aren’t for everyone. A good beginner setup is an eGo Starter Kit (typically comes with two vape pens), as these are going to produce plenty of vapor and they will give you plenty of battery life for an average user. These are great if you are just starting out. If you want something more advanced, you can try variable voltage starter kit like the eGo-c Twist Starter Kit. An ego c twist is a great mid level vape pen, for users who don’t want to get into mods yet, but they want something a little extra from a standard ego-t or evod vape starter kit. Contact Slim Vape Pen today or head over to our (Vape Pen Mods) shop and let us know if you see anything that you like. We have live chat on our website and we respond very fast to our contact form. All product photography, content development and graphic design services provided by Jeffrey Bowdoinand Brenan Greene.